These wonderfully soft deluxe plush figures are just like the little characters from the TV show Pocoyo. They are loveable and full of fun. 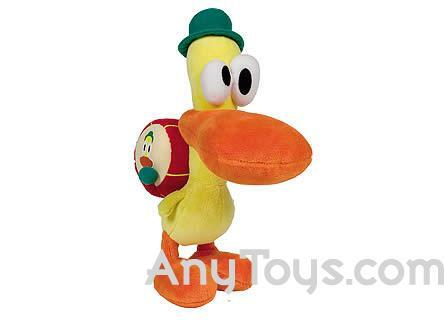 This deluxe Pato plush also comes with a super squeaky beak.